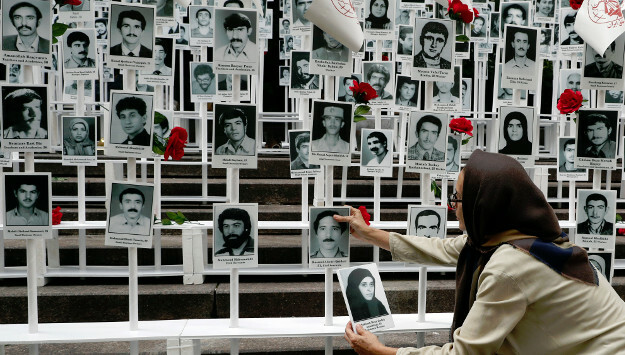 Iran’s dismal human rights record is once again under international scrutiny. On the 7th anniversary of the regime crackdown on the opposition after 2009, the International Campaign for Human Rights in Iran ran an extensive overview of major human rights violations, including torture and executions, which the Iranian authorities are predictably refusing to acknowledge. The most recognizable victims of Iran’s abuse of political opponents are top opposition leaders Mir-Hossein Mousavi and Mehdi Karroubi. Their stories have always captured the imagination of ordinary Iranians. Once members of the regime, Iran’s Supreme Leader Ayatollah Ali Khamenei turned on the two men in 2009 once they began to challenge Khamenei’s powers and the wisdom of his policies. In a public letter to the Iranian nation, Mousavi’s daughters urge people of the country not to fall for the regime’s narrative of defending the innocent inside the country or abroad and highlight instead the lengths to which the regime is willing to go to protect its grip on power. But the Mousavi daughters are also very critical of President Hassan Rouhani. He was elected in 2013 on the promise that he would end the house arrest of Mousavi and Karroubi, but he has done nothing to release them. In fact, most of Iran’s human rights leaders – including prominent activist Shirin Ebadi – consider the political atmosphere of the country to have become more repressive under Rouhani. This is all happening while Tehran wants to peddle the 2015 nuclear agreement as a new chapter in the country’s history. But the domestic environment of large-scale repression continues unrestrained.